I want to personally invite you to my upcoming 2-Day Training Workshop in Atlanta, GA where my power team and I are going to share with you a complete educational experience. This will be the only event of the year that you’ll be able to learn from my personal power team, so secure your spot today. I will personally teach you from start to finish, How to Control Real Estate with Little to No Money Down Using 10 ‘Executable’ Steps so You Know How to Do it, When to Do it and Why You’re Even Doing it! Suni will share with you her secret marketing tips on how to write powerful marketing ads that Sell Properties Faster, Attract Buyers at Lightning Speeds and Make Your Business Stand Out in a Professional Way! Learn How to Work with People in Pre-foreclosure. This is a very ‘niche’ business with no competition. How to Use Online & Offline Marketing Strategies to Drive Traffic... Prospects... Sellers... Buyers... & Investors Back To You. Roger is the Founder and CEO of Investors Accounting. Roger will share with you the difference between legal and tax structures, how the IRS classifies Real Estate Investors, the difference between passive and ordinary income and the proper tax structures. And So Much More! You don’t want to miss this! Joe will teach you how to network and build a better power team with his powerful training exercises and experience. Start RIGHT by Attending this 2-Day Training Because Too Many People Start WRONG! We have so much in store for you at this 2-Day Event and I promise you that…. 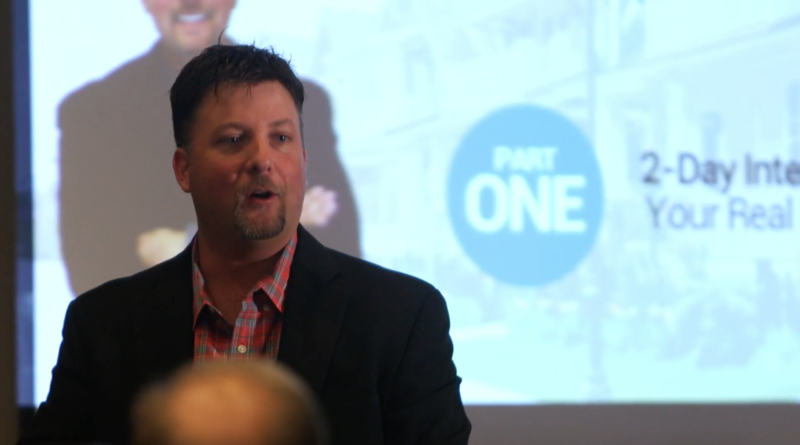 This is, By Far, the #1 BEST Real Estate Investor Training in the World! Nobody Comes Close to Giving You as MUCH Content as I DO! Why? Because this is the ONLY Real Estate Investor Training Where You Receive the Complete 10 'Executable Step’ System You Need...All in ONE Training! Tickets start as low as $197.00 but have LIMITED spots, REGISTER NOW!